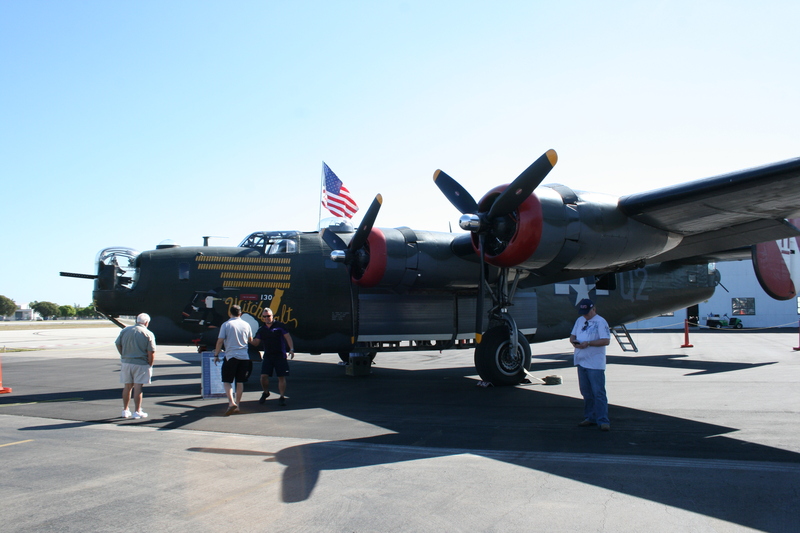 Every winter, the Collings Foundation flies into southeast Florida with a restored B-17 Flying Fortress and a B-24 Liberator. These vintage airplanes are a major part of why the Allies won World War 2 and it is fantastic that people have an opportunity to see a flying 70 year old airplane. 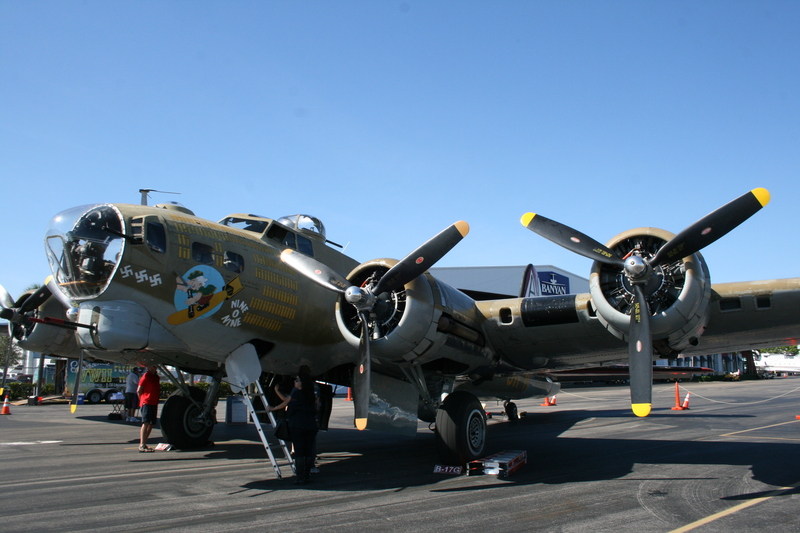 I took a ride on this B17 several years back. My Dad was on one for 25 missions in 1943. I couldn’t get him on with me. He figured that was enough even when I offered to pay the $350 for the 45 minute ride (well worth it!!). Even reminding him that there would be no flak and no bullets streaming through the plane was not enough. But when I got on, there were 11 more guys my Dad’s age taking yet another ride in the B17. Interesting if you flew in a B17, that’s what you wanted to ride – and I am sure vice versa with the B24. The stories were great. My Dad’s tour of the plane (on the ground) was enlightening. Too bad these guys are leaving us. I encouraged my students to take a look when the planes were next to campus. I took a few hours before class to wander about. Another year I will jump back on the B17. If you get the opportunity, I encourage you all to do the same. In the meantime, the question that we need to think about as we remember these men and women is where are these folks today? Millions of men and women worked hard, fought and many died trying to benefit society, not themselves. They were looking out for the world, their friends and families. They were looking out for a way of life for the future. Leadership requires a prospective view, a vision for tomorrow and a willingness to sacrifice and do what is needed to achieve that vision with the intent of providing betterment for all. So as we look forward in 2015, this seems to be an obvious issue to explore. I look forward to your views. 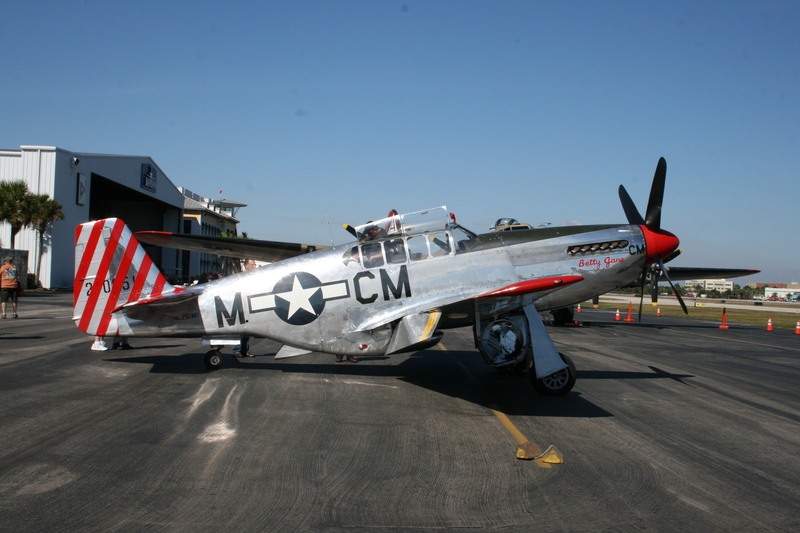 Mustang Fighter – this plane flies as well. very cool to see.